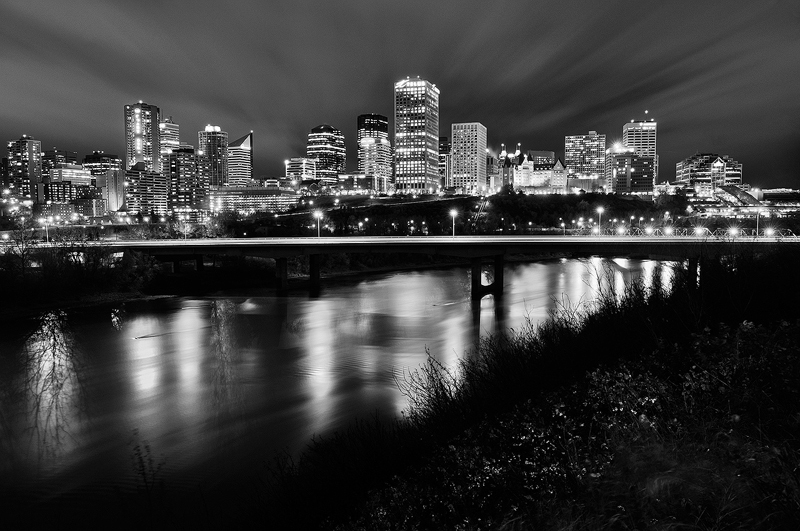 Long exposure black and white city | Downtown Edmonton, Alberta. I was editing this photo in colour when I accidentally hit the black and white tab in Lightroom. I was stunned by the immediate impact the image had on me. After a little bit of adjustments, I came away with this. A little bit of light painting for the bushes on the right. And the lights across the bridge on the left sure left some crazy tree shadows in the river!